You’ve put a lot of effort into creating a unique event experience, and now it’s time to get the word out. As you put together your marketing materials, remember that a strong and clear event description goes a long way. Writing an attention-grabbing one may feel a bit puzzling, so we’ve put together six tips to help with writing an event description that is both snappy and effective. Your event is a brand and your event description is an opportunity to talk about and market it. 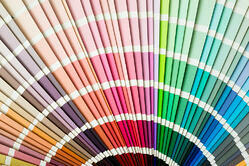 Review your theme and how it fits into your company values. Your overall mission as well as your branding creative (brand logos, colors, voice, fonts and images) should be reflected in your event description. Consider the voice and tone that you’re using to reach your guests. What do they want and how will they best feel heard? It’s a good idea to conduct surveys and to comb through existing data from surveys past. The key is to learn as much as possible about your attendees, what they’re looking for, and how they talk. Do you notice any trends? For example, is networking the main expectation of your attendees? Highlight networking opportunities in your event description. Avoid an overuse of clunky adjectives and using your event description as a tell-all. You want to give your potential attendees the information they need, quickly and clearly. Break your copy up into small sections with headers so that readers can collect information by skimming. Your guest speakers, event activities and key features can be called out in bullet points for easy reading. Have you ever read about an upcoming event then immediately jumped to a new tab to search for photos? We all do it, and there’s a reason: photos help to tell a story. They are a quick and powerful way for attendees to understand your event and if it’s worth their time and money. Include visually striking photos of previous events: guests speakers in action, attendees engaged in a session activity or even a display of delicious treats! If possible, include attendee testimonials and/or social media links and images to convey the experience from a guest perspective. Creating a page that ranks at the top of a google search will help spread the word and drive ticket sales. To write a high-ranking page, write an event description that includes words that people might use to search for your event. 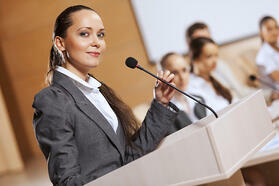 Without going overboard, use descriptive words related to your theme, subject matter and guest speakers. As mentioned, your event description is not the place to explain every detail of the occasion. Your event site should include necessary information, such as location and date, however, a dedicated FAQ section can house all of the other important information that your guests may need such as cancellation policy, dress code, refreshment options, and facility details. 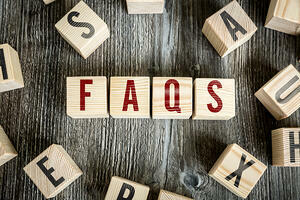 Not sure what additional specifics to include in your FAQs? Let your attendees help you. Sort through emails that you’ve received as well as trending survey results, note the common questions you’re seeing and add them to your page. When you sit down to write an event description, keep these tips in mind. Before you publish or print, we also suggest asking a few people from your audience and/or your team to take a look — their feedback may help you see something from a different perspective. If you’re looking for more in-depth advice on apps and event tech, subscribe to the MeetingPlay blog. And as always, if you want to talk it over with an expert, don’t hesitate to schedule a free demo!